Indian hacker, Godzilla once again hit Bangladesh government server. 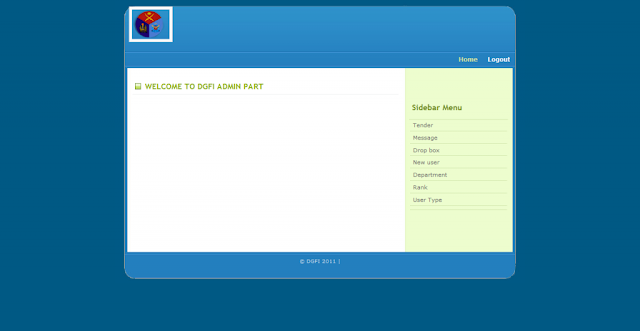 Hacker told us about his latest cyber attack on Directorate General of Forces Intelligence Bangladesh (DGFI - www.dgfi.gov.bd) server . He claimed to back up all confidential mails in the server and list of all their agents around the globe. Hacker taunt Bangladesh govt , "To all stupid Intelligence people of Bangladesh do you know what is security? ?, Iam really felling pitty for you." Through a paste note, hacker leak one sample mail (funny one), which is the conversation between Dewan Mamoon and DGFI Director. Some words from email are, "I love the CIA. I love the DGFI. I love the Bangladesh armed forces. I love America and I love Bangladesh." and "I know that you are the ones to thank for sponsoring me in Bangladesh and the CIA for sponsoring me in America." Compromised Intelligence server claimed to be full of sensitive information. In past year, Godzilla had hacked many Bangladeshi and Pakistani Government and Military websites.